Houses & Homes VA: Why has my home decreased in value? Why has my home decreased in value? This is a question that agents hear many times from worried homeowners. The truth is that the real estate market is a market and it is not unusual to experience fluctuations in value over the course of years. It’s not time that affects the value of a given property so much as it is the naturally occurring changes in the marketplace and indeed the economy as a whole. Real estate, the same as any other market is constantly changing and this directly affects the value of properties on a daily basis. When there are fewer homes for sale prices increase, this is referred to as a seller’s market. A buyer’s market is the opposite and occurs when there are many homes for sale. Due to the fact that seller’s are facing so much “competition” at this time the value of properties may drop significantly in a specific geographical area. It’s the same as any other business if you think about it. A donut shop on every corner means cheaper donuts! Of course there are many other factors that affect the value of real estate including local employment conditions and the health of the economy in general. As you know, location is always a major factor as well. A home in Hollywood is always going to be much more expensive than a comparable home in the middle of nowhere. By now you may be wondering how the true value of any home can be determined when there are so many factors to consider. The truth is that determining the exact value of any home is more of an opinion that a fact. Appraisers (and real estate agents as well) try to determine the worth of a given property by comparing it to other properties in the same area. 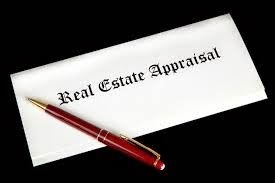 If you own a 3 bedroom home in zip code 12345, appraisers will usually look at similar 3 bedroom homes sold within about a mile of your home in the last 6 months or so. They will see the recent sales prices of homes that are about the same size and condition as your home and this will help them to determine the value of your home. It’s as much an art form as it is a science and opinions will vary. If just a few of your neighbors sell their homes below market value, all homes in the immediate area may actually go down in value. Sometimes sellers may want to wait for prices to increase before listing their homes for sale if possible. Just a few months can make a big difference if you have the time to wait it out. The bottom line is that real estate prices in most areas do change from time to time and there is probably no need to be over concerned unless the reduction in value is dramatic, continues over a long period of time or both. If you need to sell your home during such a time and cannot wait, it is important to remember that overpricing your home will not help you in any way. Interested buyers will see comparable home for less money and most likely will make a lower offer to you or none at all. In this situation the seller must either accept a lower price for their home or wait it out. Another option might be to rent the home until values increase again and then sell it without taking a loss. Regardless of what path you choose the better condition your home is in and the more attractive it looks to renters or buyers, the better off you will be financially.